Bond Joseph provide experienced criminal defence lawyers and representatives at Police stations across the County on a daily basis. We provide FREE independent advice and representation at any Police station across Kent for those under arrest, facing a voluntary interview under caution or potentially to those who are anxious about providing a witness statement. We can attend any Police station whether at day or night and are even able to attend those who face Police interviews in their own homes free of charge. Asking to be represented does not mean that the process will take any longer contrary to what the Police may tell you. Bond Joseph can also assist you with your case where you have been released on Police bail or 'Released Under Investigation' (RUI). If you or someone you know has been arrested or are due to attend the Police station call us on 01227 453545 for a no-obligation consultation. We can also provide a free telephone consultation where you are already represented by a different Solicitor but are considering changing. Going to the Police station for an interview is never a pleasant experience and we appreciate the worry and anxiety that being in a custodial setting can cause. Where possible, we will try and prevent a prosecution in the early stages through effective negotiation with the Police. For further information or to discuss your case call Tom Clarke today on 01227 453545. Where an advisor is not available we will ensure that your call is returned as soon as possible. Bond Joseph have acknowledged expertise in representing clients wishing to apply to the Court of Appeal regarding conviction or sentence and our Higher Court advocates regularly appear before the Court of Appeal. In some cases, an appeal may be lodged if a trial was not run properly or if the sentence was not within the sentencing guidelines, was unusually harsh ('manifestly excessive'), or may involve a breach of human rights. Ian Bond heads our Court of Appeal team and is contactable at our Canterbury office. Bond Joseph are regularly instructed to act for those facing investigation from their regulatory body. We have expertise in assisting clients with investigations and prosecutions brought by various agencies including The Health and Safety Executive, Environmental Agency, General Medical Council and General Dental Council. We also work together with expert Counsel from leading chambers who specialise in professional conduct committee powers and procedures and regularly advise those facing GMC or GDC hearings and investigations. The Lawyers at Bond Joseph have, for over 30 years, been representing clients in Magistrates’ Courts across the County and beyond on a daily basis. They deal with all manner of charges in the Magistrates Court and will advise on every aspect of the charges you may face. A number of our Magistrates team are also Solicitor Advocates with rights of audience in the Higher Criminal Courts. They have a wealth of experience and expertise. 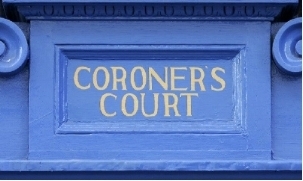 Coroner's Courts verdicts can have significant consequences for 'interested persons' ranging from reputational damage to the threat of criminal proceedings. Acting on behalf of an interested person, we are entitled to submit evidence, examine witnesses and make submissions to the coroner. Our service can therefore range from advising people and organisations as to the procedure, carrying out investigation, preparing evidence and representation during the inquest itself. Bond Joseph's expert inquest solicitors can draw on their considerable experience of criminal litigation to ask the right questions, demand transparency and assist the coroner or the jury in coming to the correct finding. Proceeds of crime/confiscation proceedings regularly follow the conviction of those who are believed to have 'benefited' from criminal conduct. 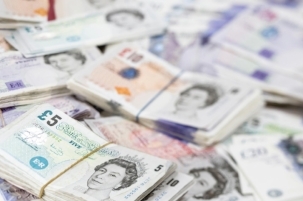 Bond Joseph act for those facing Proceeds of Crime Act (POCA) proceedings following conviction as well as providing advice and representation on appeal against confiscation orders, application to vary confiscation orders and advice and representation at confiscation enforcement proceedings. Bond Joseph provide representation to clients at both Canterbury and Maidstone Crown court on a regular basis. With such an experienced team, we are able to represent clients for all offences from the point of arrest to an appearance in the Crown Court and Court of Appeal. With a strong reputation for the highest quality representation, we pride ourselves on the thorough and forensic examination of cases to ensure that our clients have the best chance of acquittal. Where we consider it in the best interests of the client we instruct a barrister or QC on their behalf. We have a long standing relationship with top criminal chambers in London who regularly work alongside us to ensure our clients case is prepared and presented to the highest standard. Where appropriate, we can apply for transfer of a case from one firm to another. If you are unhappy with your representation and wish to be represented by Bond Joseph, call 01227 453545 today to discuss your case. If you have been sentenced for a criminal offence and wish for advice in regards to appeal against conviction or sentence, contact us today on 01227 453545 for a free no-obligation telephone consultation. Bond Joseph have extensive experience in the field of Road Traffic law and regularly provide advice and assistance in respect of all motoring offences from speeding to causing death by dangerous driving. We regularly act for clients in excess alcohol cases and have an excellent track record in challenging the expert evidence and running technical defences to ensure our clients have the best possible prospects of acquittal. Where necessary we obtain the services of specialist expert witnesses on behalf of clients and are dedicated and robust in protecting our clients from unjust fines, penalty points and disqualification. We understand that a driving licence is a valuable asset, losing a licence can, at the very least, cause extreme inconvenience and on occasion loss of employment and worse. We aim to ensure our clients keep their driving licenses. We can also offer assistance with removal of disqualification orders, so if you are subject to a lengthy disqualification and wish to make an application for the early return of your driving licence then please contact us to see if we are able to assist. Where possible we will apply for legal aid on your behalf, however a great deal of motoring offences do not attract legal aid. In circumstances where legal aid is not available we offer extremely competitive private rates. If you have been arrested, charged with or summonsed for a road traffic offence, or if you have received correspondence from the Police and are unsure what to do next, contact Bond Joseph for a no-obligation quote and a free telephone consultation with one of our lawyers contact us on 01227 453545 today.